I was in a hurry last night and threw together this quick look (no time to do a video tutorial on this one but I might soon). 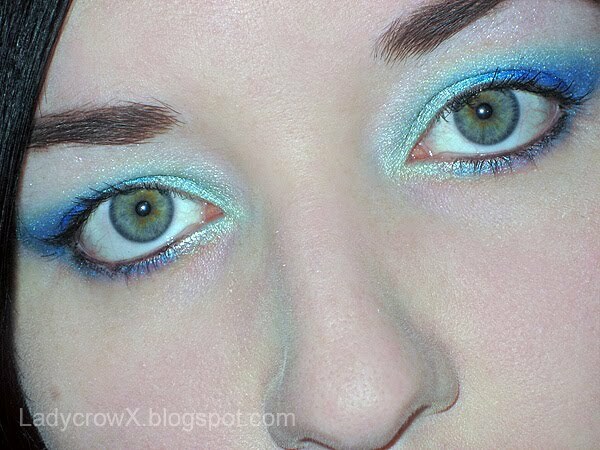 It was a quick one so I didn't have time to define everything but I LOVE Fyrinnae's blues and Pixy Epoxie. Note: No time to do the top lid liner :( will have to do a tutorial that has it more defined.